Classic bean started in Topeka, Ks on October 18, 1993, at 628 S. Kansas Avenue. Classic Bean was Topeka’s first espresso café and deli, offering Topekans a taste of coffee from other countries and a great meeting place to meet friends and hang out. A year later we bought a small roaster and began roasting our own coffee. We developed our own unique taste and blend of coffees. Classic Bean was the first in downtown to offer outdoor seating for our customers, more common in larger cities, and vacation spots, providing customers with the feel of a Bistro or European café. Classic Bean features a symphony of gourmet sandwiches, salads, pasta and more, named inspired by the Classic Composers to reflect our theme: The Classic Bean. Very soon, “The Bean”, as we are called by many of the locals, had long lines extending out the door and down the street. Evening hours featured poetry readings, jam sessions, drum circles and live local musical entertainment with no cover charge. Several well-known artists performed here before they made it big. Beyond music, we became a favorite place to exhibit art by local visual artist. We now have a two-year waiting list to exhibit on our walls. In 1999, we purchased the building at 722 S. Kansas Avenue, providing double the space for seating and the gallery. We had to get an even bigger roaster! On January 3, 2002 we added a 2nd location on the popular west side. We soon outgrew this space and moved to 21st and Fairlawn at Fairlawn Plaza. The new location offered more space for seating, the art gallery, and a stage for musical acts to perform, plus a private meeting room, and offers Free Wi-Fi. The Fairlawn location obtained a liquor license and offers a selection of beers, wine and spirits, plus specialty drinks. 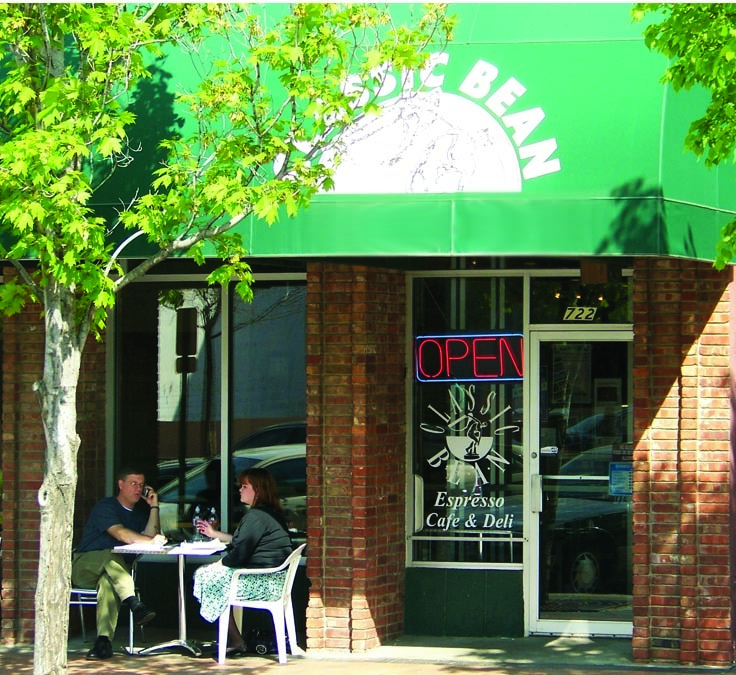 The Classic Bean is a central meeting place for business and socializing. Classic Bean is a recognized small business success by William W. Bunten, Mayor of Topeka, in a proclamation on November 23, 2010, for Small Business Saturday.